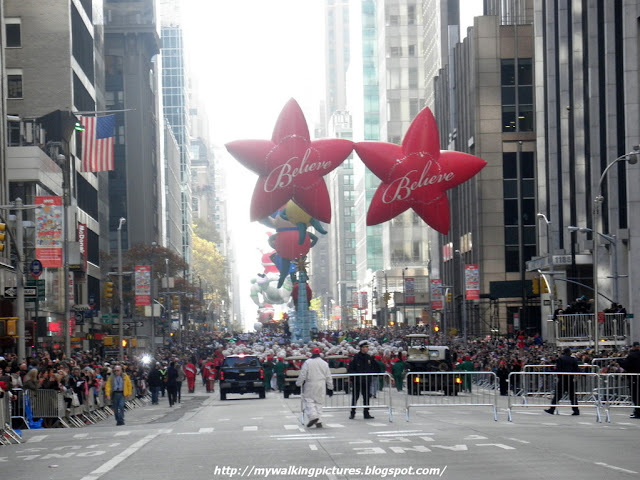 Macy's Thanksgiving Parade started in 1924 with employees and professional entertainers marching from 145th Street in Harlem to Macy's flagship store on 34th Street dressed in vibrant costumes. 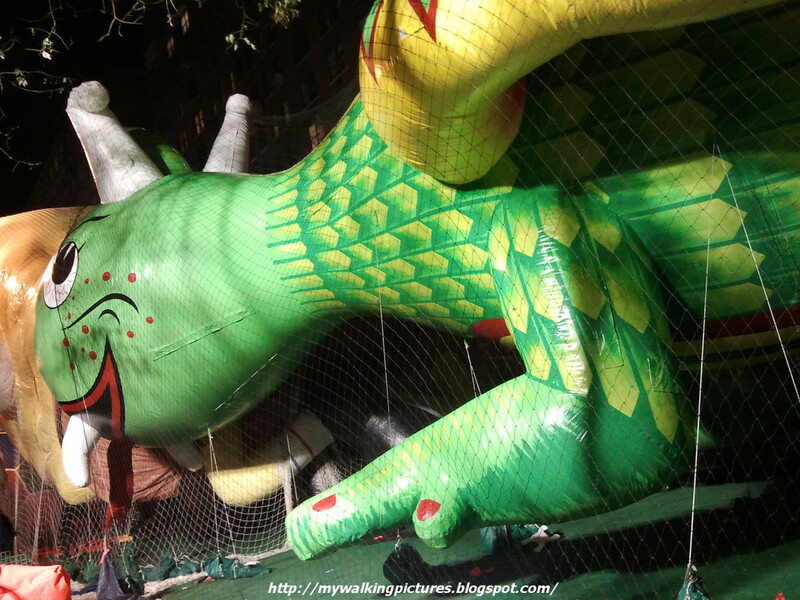 There were floats, professional bands and live animals borrowed from the Central Park Zoo. 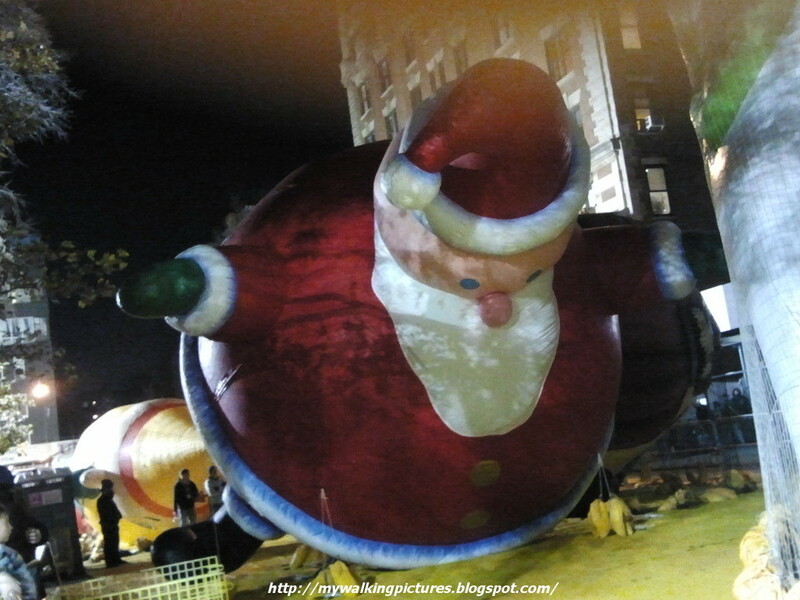 As has been the case with every parade since, Santa Claus was welcomed into Herald Square at the end of the parade. With an audience of over a quarter of a million people, the first parade was such a success that Macy's declared it would become an annual event. 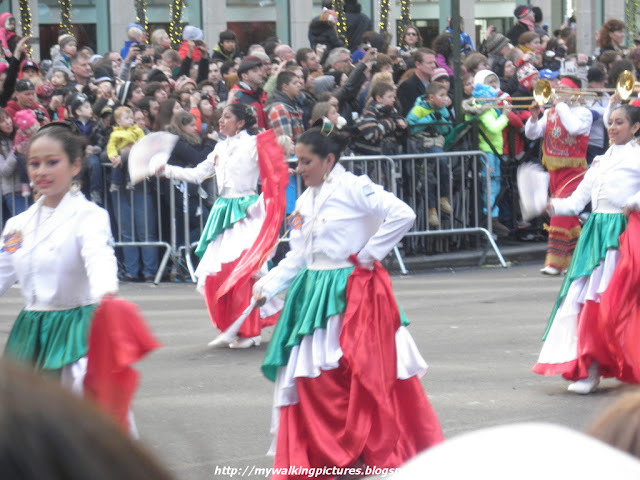 This year was the 86th year of the parade (the 1942, 1943 and 1944 parades were cancelled due to World War II) and followed a new route. As in the past years, the parade started at 77th Street and Central Park West and continued to Columbus Circle turning into Central Park South. 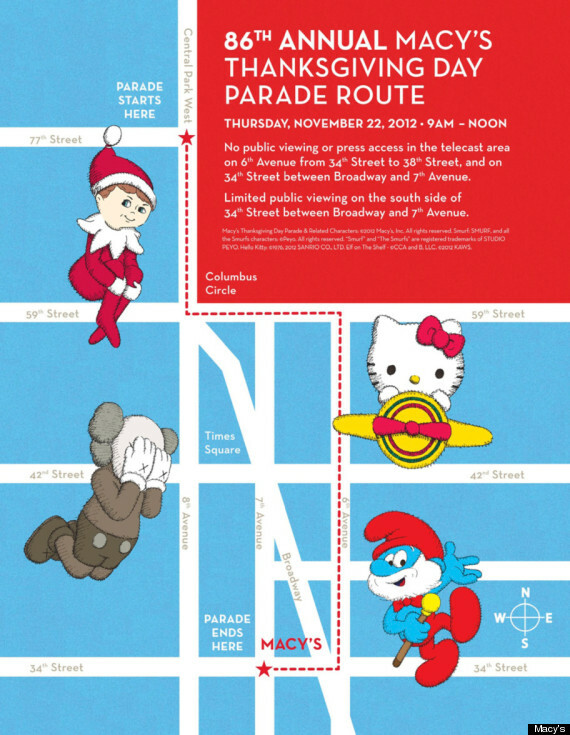 This year, however, instead of turning to Seventh Avenue, the parade route veered onto Sixth Avenue and headed from 59th Street down to 34th Street, making its final stop at Macy's Herald Square. 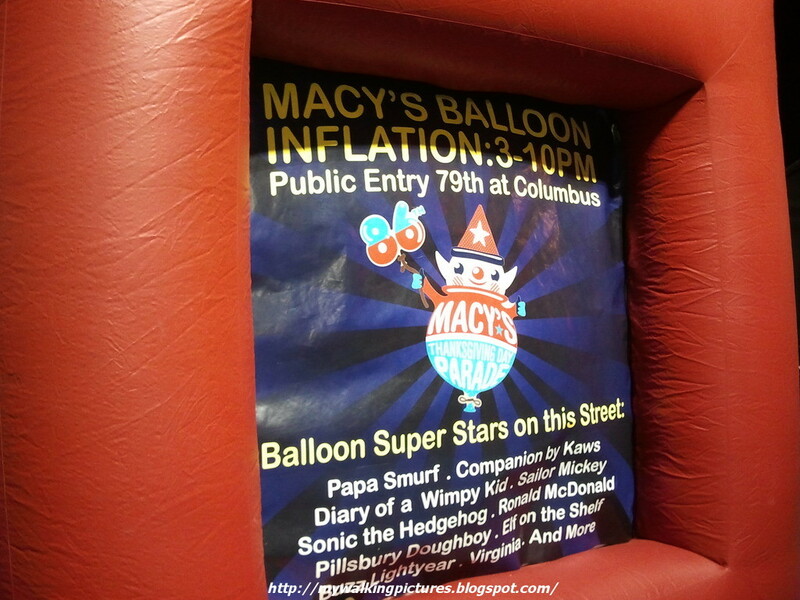 The excitement started the night before the parade during the Macy's Balloon Inflation event. It's open to the public from 3pm to 10pm, I usually go after office hours so by the time I arrive the balloons have already been inflated. 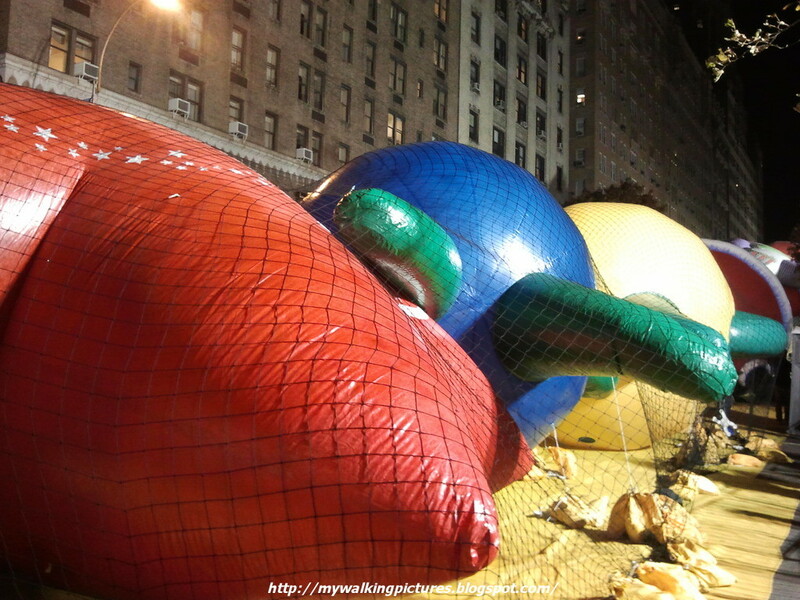 Here are some of those inflated balloons, you can see the netting and sandbags over the balloons, holding them down. This little girl is Virginia of the "Yes, Virginia, there is a Santa Claus" fame. Santa resting comfortably on his rotund waist. A new balloon, Rex the Happy Dragon. At the balloon inflation, each balloon has a sign with its name, picture and year of its "first flight". This year the balloon inflation event was very crowded, just look at all the people in line waiting to see the inflated balloons. I tried to get to the parade area early but still there were already a lot of people along 6th Avenue when I arrived an hour before the parade started. 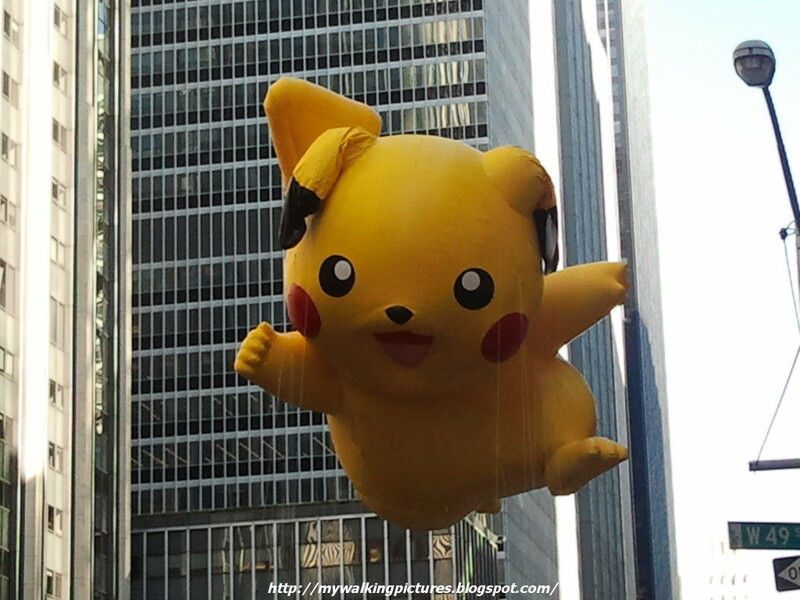 Pretty soon, you could hear people cheer, the balloons are coming! 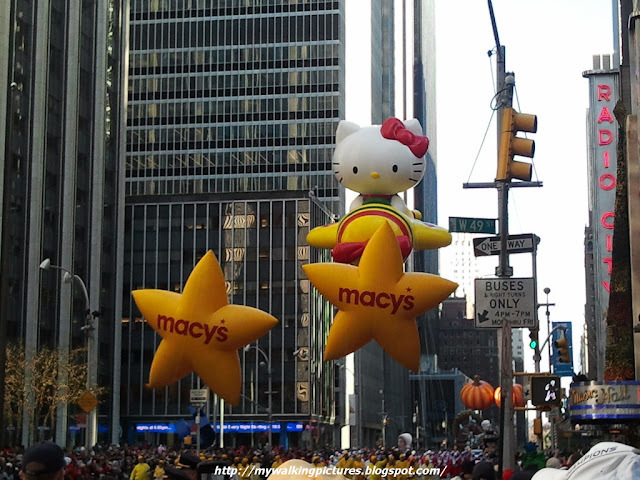 Here comes Hello Kitty on her new ride leading the pack. 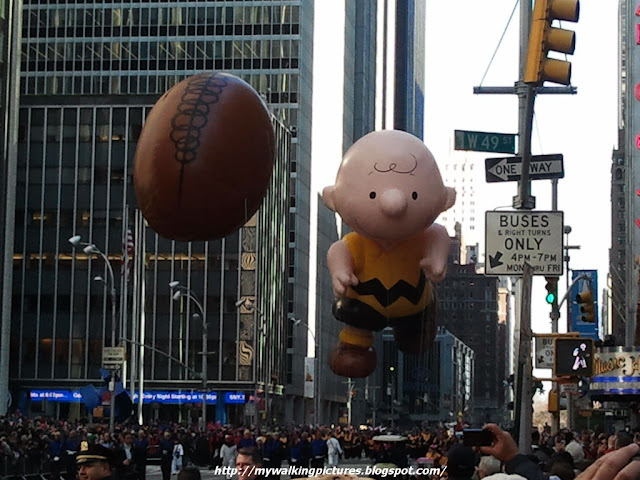 I didn't have a good view of the street level of the parade so I mostly focused on taking pics of the balloons. Some of my views are somewhat blocked by the walk/don't walk sign but you can still see the balloons. Here are some of them. Here's Kermit the Frog. 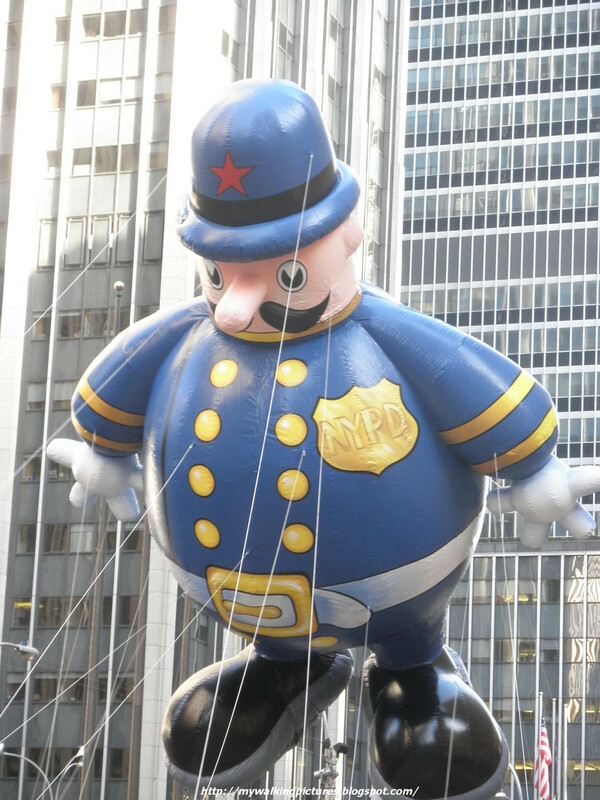 He first joined the parade in 2002. Like Kermit, Charlie Brown's first flight was also in 2002. Pikachu can't keep up with the poke-ball. 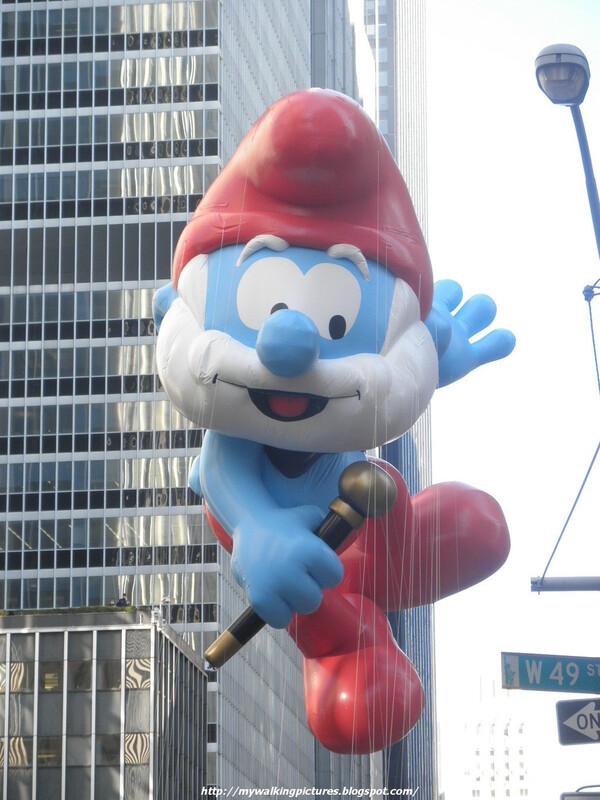 His first appearance was in 2006. 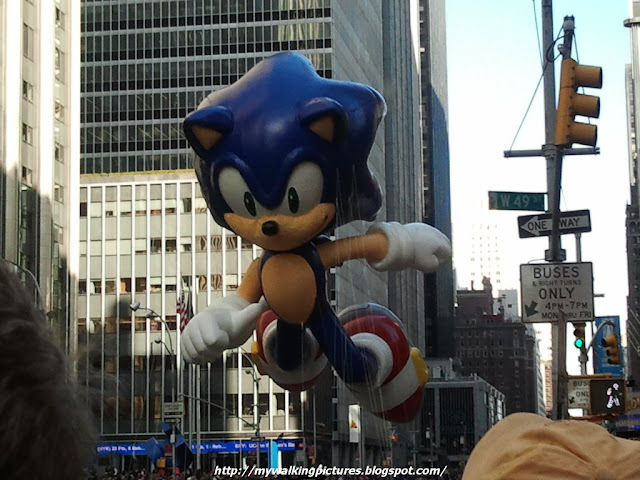 Then there's Sonic the Hedgehog, the first balloon character from a video game. He was first seen in last year's parade. 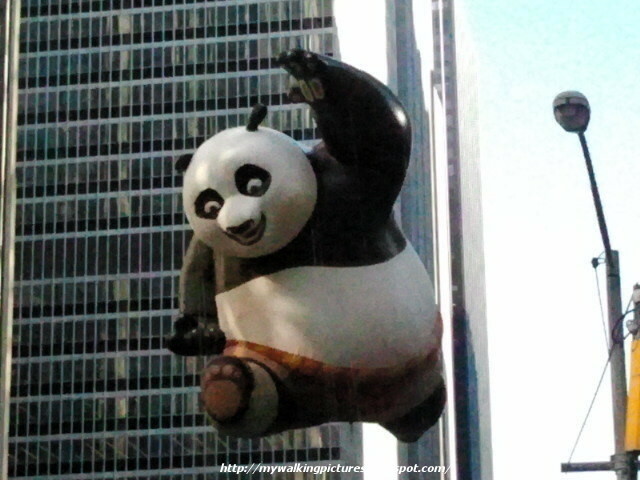 Everybody's favorite panda, Po is charming his way down the route. His first flight was in 2010. 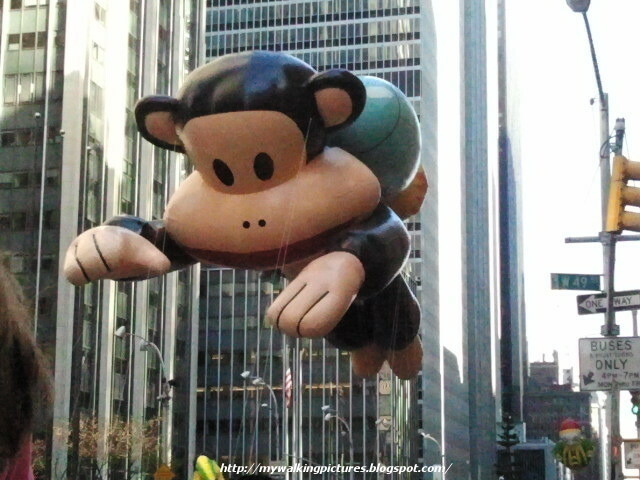 There's also Julius, the monkey character from Paul Frank. 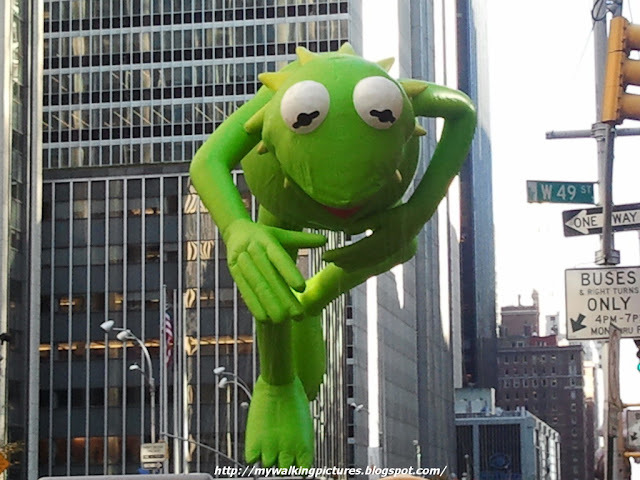 He was first seen in 2011. 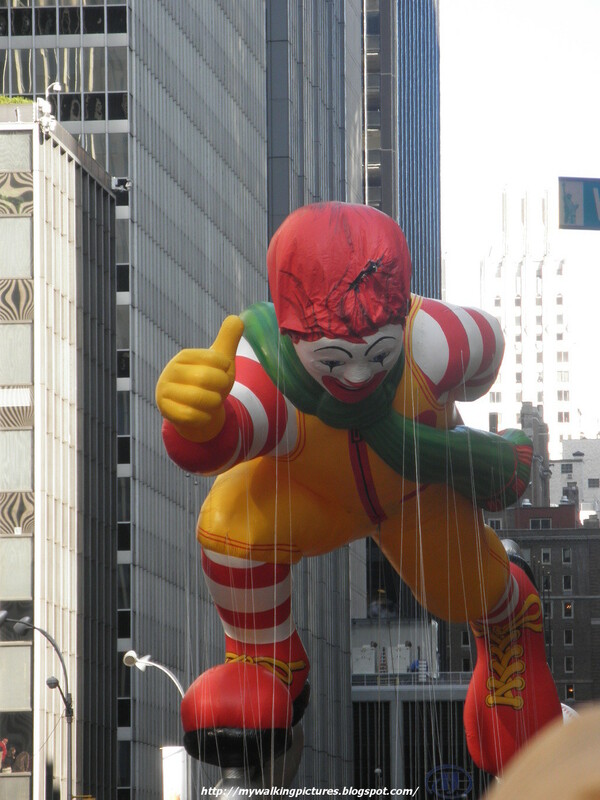 Ronald McDonald skating his way across the parade route since 2000. 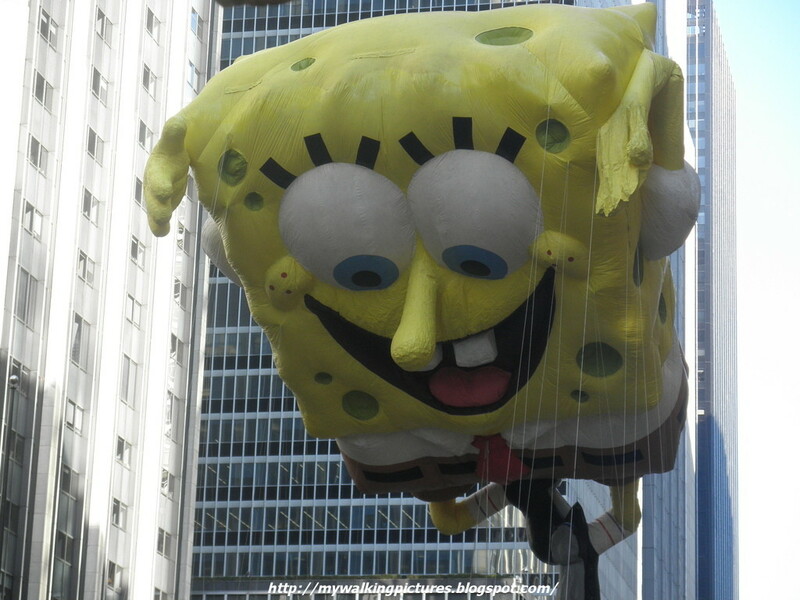 Another favorite character is Spongebob Squarepants. His first flight was in 2004. 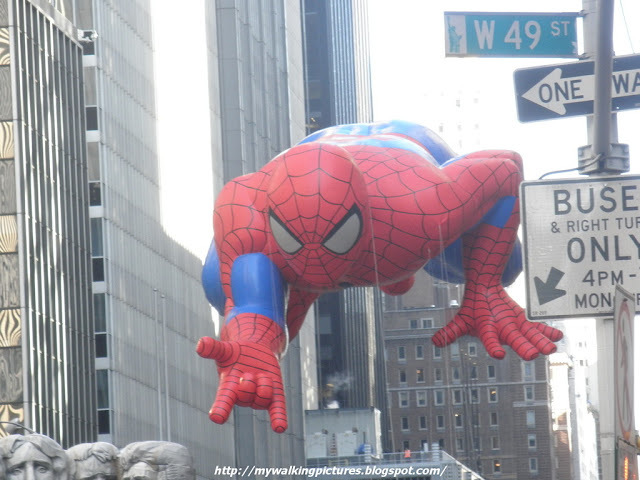 And let's not forget New York's homeboy, the amazing Spiderman. 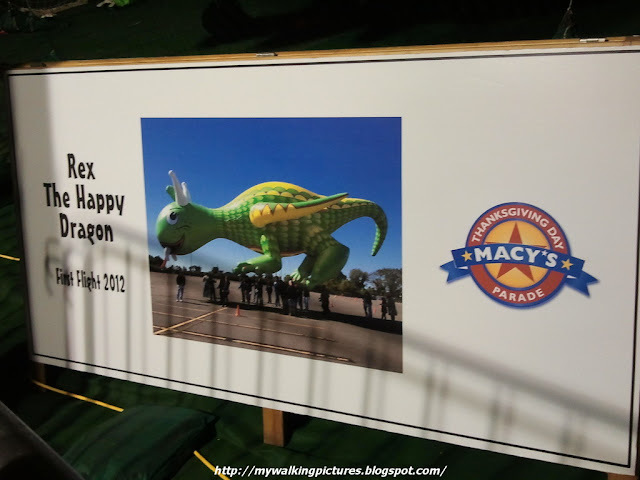 Then there are the new balloons for this year, there's Papa Smurf, Companion by Kaws, Elf on a Shelf, the new Hello Kitty balloon as shown above and Rex the Dragon. 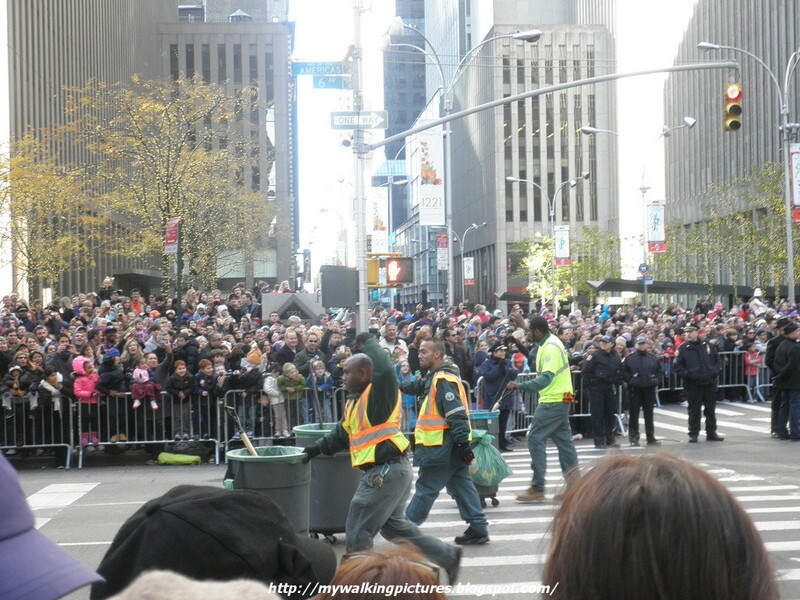 These guys were one of the first groups in the parade and they got lots of applause, it's the cleaning crew! There were several bands but the one from Mexico stood out with their costume. 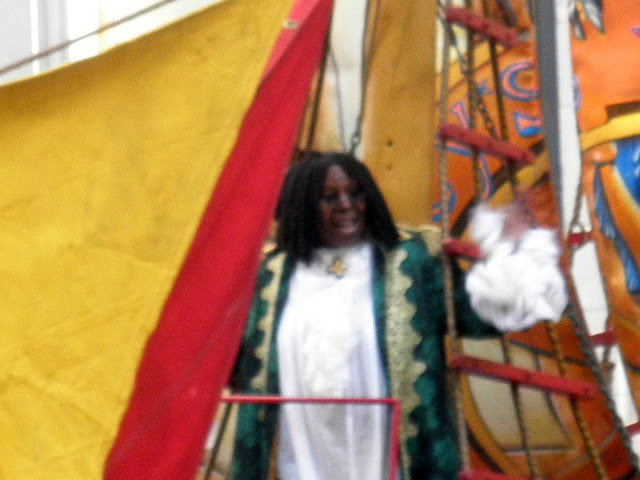 Lots of stars and performers on the floats, too, but I was able to take a pic of only one, Whoopi Goldberg. Let's not forget the novelty balloons like Harold the Policeman. Here's one of the floats, Zhu-niverse featuring the zhu-zhu pets. 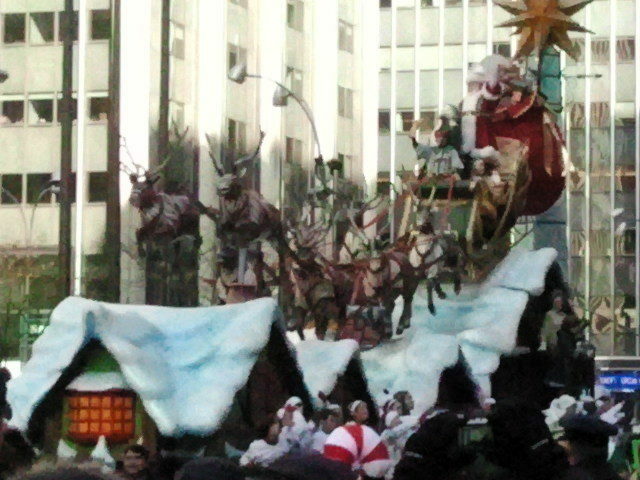 And the most awaited float, the last float in the parade and carrying the big man himself, Santa's Sleigh. 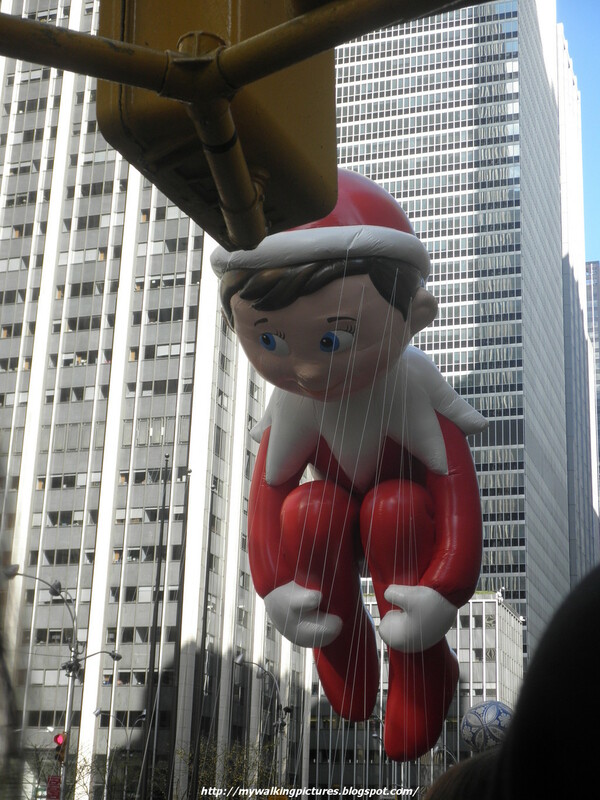 Three hours of standing and watching the parade was all worth it. 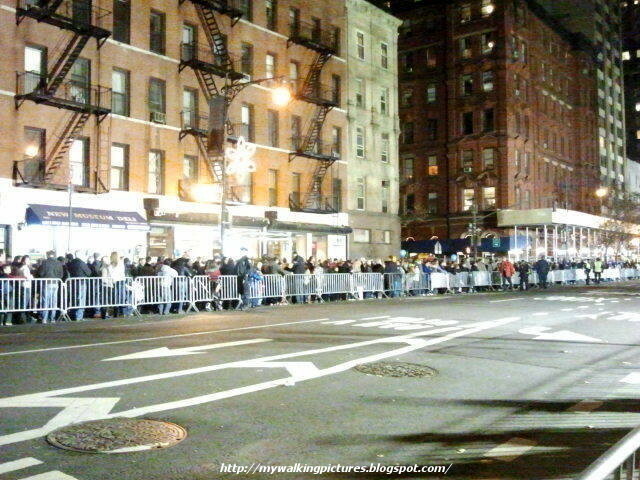 Here's looking at the tail end of the parade. You can see the two simple red balloons at the tail end. Yes, all we need to do is believe! 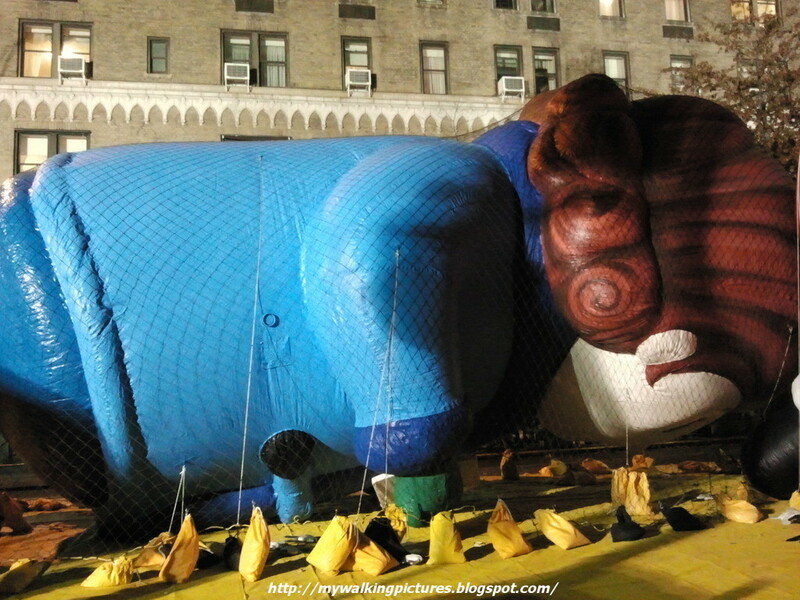 Some Macy's Thanksgiving Parade facts on this link. 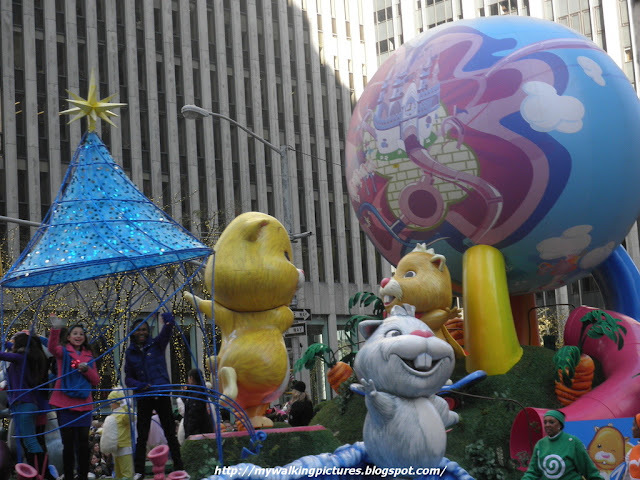 For the rest of my Macy's Thanksgiving Parade pics, here's the album on Flickr.